China is emphasising public diplomacy to help soften Indian public opinion and mute Indian concerns over an increasingly asymmetrical trade relationship. Foreign Minister Wang Yi said in New Delhi the new people-to-people mechanism will “help consolidate the public-opinion foundation” for bilateral ties. China’s public diplomacy aims to underpin its “win-win” policy toward India — engagement with containment. Within reporting about the recent U.S. discussions with the Taliban and seemingly impending U.S. withdrawal from Afghanistan, it seems broadly overlooked that these decisions are the product of a chain of events that began in the early months of 2018. 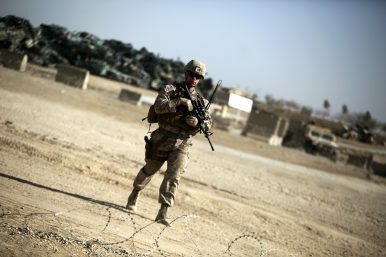 Lost also within the ongoing stream of commentary is the prospect that the Afghan conflict is not so much being wound down as evolving into a small square on the broader chessboard of clashing economic interests in the region. On February 28, 2018, Afghan President Ashraf Ghani marked a profound turn in the conduct of the Afghan War when he announced that he would seek peace talks with the Taliban without preconditions. Only two weeks before that announcement, President Ghani’s spokesman had overtly denounced the Taliban’s recent open letter to the American people calling for peace. On November 23, three militants of the Balochistan Liberation Army attacked the PRC consulate in Karachi, the latest in a series of assaults by Baloch militants on PRC projects and personnel in Pakistan (Global Times, November 24). Baloch opposition to the China-Pakistan Economic Corridor (CPEC) is a primary motivating factor for these attacks, with many Balochis alleging that CPEC, a flagship component of China’s Belt and Road Initiative (BRI), exploits Baloch resources while only benefiting the Chinese and non-Baloch Pakistanis (Express Tribune, December 17, 2015). South Asian governments are becoming increasingly discontent with BRI projects. In August, Pakistan’s new government expressed interest in reviewing the CPEC contracts that they perceive to be over-priced, unnecessary, or excessively in the favor of PRC companies (Dawn, September 11). Similar sentiments have been expressed by the new Maldivian government, which is reviewing BRI contracts signed during the rule of former President Abdulla Yameen (Economic Times, November 26). Such actions raise questions as to whether South Asian states might scale down or even cancel BRI projects. Donald Trump wants to get U.S. troops out of Afghanistan. In July he decided to begin negotiations with the Taliban and he is now considering plans to withdraw seven thousand troops, half of the U.S. force in the country. The president is right to seek an end to this lost war, but we should be under no illusions about the potential outcomes of an American withdrawal. We are not making progress in pacifying Afghanistan. Taliban forces control or contest a greater portion of the country than at any time since 2002—nearly 60 percent, by somereckonings . Their urban terrorism makes a mockery of Kabul’s supposed “ring of steel.” Even Afghanistan’s most ruthless warlords are not safe. First Vice President Rashid Dostum, an Uzbek infamous for his cruelty, lost nine members of his security detail to a suicide bomb last summer. Abdul Raziq, a Pashtun border patrol commander renowned for being brave, merciless and effective, was killed in an October attack, with the U.S. commander in Afghanistan, General Austin Scott Miller, just feet away. The Trump administration’s vaunted new strategy has only seen tangible growth in one metric: the number of bombs dropped on Afghanistan. Will Indonesia Purchase the Indo-Russian BrahMos Supersonic Cruise Missile? 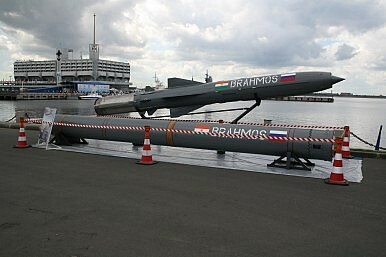 The sale of the BrahMos to Indonesia is likely to face considerable obstacles. Jakarta is the second prospective Southeast Asian customer for the missile, which is among the best-performing in the class of air-breathing supersonic cruise missiles. Vietnam and India have long been in talks over a sale of the missile as well. The Hindustan Times notes that India and Indonesia have not yet reached a final agreement on the prospective sale. For now, the seriousness of Indonesian interest in buying and joint Indo-Russia interest in selling stems from the visit last year to the shipyard to explore how and whether Indonesian warships might be able to accommodate the missile. Northeast Asia has long been denied its economic potential by being in a state of diplomatic deep freeze. There is a good chance that the thaw between Japan and China will spread to the Korean peninsula and maybe to Russia in 2019. The post-war order symbolised by US economic dominance was already under challenge before Donald Trump became president of the world’s largest economy in 2016. But he has undermined national power in a way that suggests that US influence will continue to diminish even after he leaves office. Despite assertions to the contrary, the world’s second-biggest economy (China) is not yet ready, or able to assume the role of a global hegemon. Even the role of Asia’s regional hegemon is not yet fully within reach. 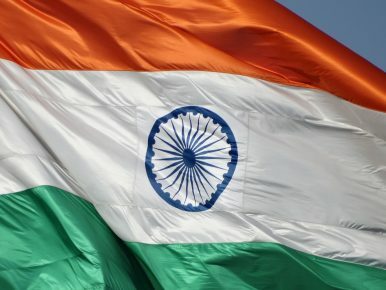 As the year 2018 came to an end and 2019 was ushered in, India’s position in South Asia seemed much more secure than it was in early 2018 when headlines were screaming that India had lost South Asia. As we start a new year, Sheikh Hasina is back in power in Bangladesh, Mahinda Rajapaksa’s attempt at backdoor entry to the center stage of the Sri Lankan polity has been scuttled by the nation’s judiciary, and the Maldives knot has been untied with the election of Ibrahim Mohamed Solih to the nation’s presidency. 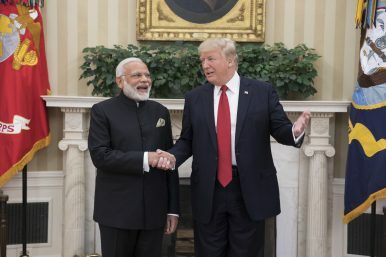 This is not to say that the strategic environment in India’s neighborhood will not become adverse again, but simply to underscore that discussions about India and its neighbors tend to get overly shaped by immediate developments. India’s strategic community overreacts every time there is a setback to Indian interests in its neighborhood and over-interprets any move that is possibly in favor of India. The reality is that India is closely bound with its neighbors and both New Delhi and its neighboring partners recognize this. There will be disagreements and there will be tensions, but the logic of geography cannot be ignored. As the Trump administration and China attempt to end their trade war, the U.S. is pushing forward on a key front of the conflict: a criminal prosecution of alleged trade-secret theft that has helped to hobble China’s aspirations of mass producing memory chips. State-owned Fujian Jinhua Integrated Circuit Co. and its Taiwan-based partner United Microelectronics Corp. pleaded not guilty Wednesday in San Francisco federal court. The companies’ indictment was the first under the Justice Department’s “China Initiative,” announced in November to prioritize trade-theft cases and litigate them as quickly as possible. Prosecutors are deploying novel tactics in this latest fight, adding some experimental methods to layered enforcement actions to make sure there’s no mistake about the message: If China steals technology, it won’t go unpunished. “We want to use all available tools to make the consequences of this behavior economically untenable,” Assistant Attorney General John C. Demers said in an interview in November after the initiative was announced. Can China’s Economy Weather a Contraction in Manufacturing Activity? 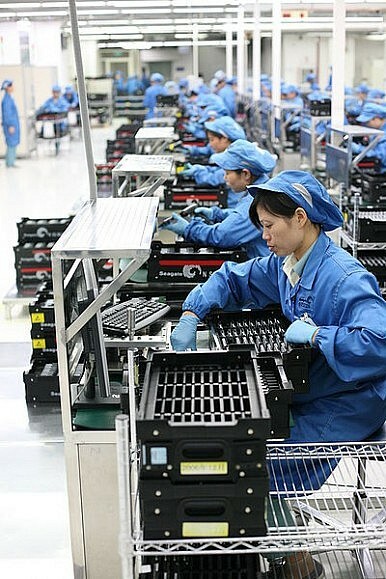 With its manufacturing Purchasing Managers’ Index (PMI) falling below the 50.0 unit inflection point in December 2018, China’s manufacturing activity has entered a stage of contraction for the first time since mid-2016. The released data spooked China’s stock markets, with the Shanghai Composite Index recording a 1.2 percent drop. Observers have subsequently been quick to assert that the specter of a protracted economic slowdown now looms large over China. Forecasts inspired primarily by the manufacturing PMI, however, omit important drivers of economic growth. It is worth noting, for instance, that in November 2018, China’s services PMI unexpectedly jumped to a five-month high. While services PMI data for December 2018 is yet to be released, China’s non-manufacturing PMI — which includes the services sector and others such as construction, water supply, power and gas supply, etc. — bucked a downward trend in that month, rising to a level of 53.8. Importantly, the services sector, which the manufacturing PMI does not capture, plays an increasingly significant role in the Chinese economy today — 61.3 percent of GDP growth in the third quarter of 2018 was attributed to the tertiary sector. As such, the manufacturing PMI is hardly representative of the Chinese economy at large. It is no surprise, therefore, that China’s comprehensive PMI — which includes all sectors — has only fallen to 52.6 in December 2018 from 52.8 in the previous month, and is still above the 50.0 point mark that signifies a contraction in activities. The message reached me in early December via Signal, an encrypted messaging service that many Chinese use to bypass the closely monitored social media app WeChat. The day that many of us had feared was upon us: China’s best-known pastor, Wang Yi, and 100 of his followers had been detained. Their church of 500 members was closed—very likely forever. In the two years since my last Foreign Affairs piece about religion in China (“China’s Great Awakening,” March/April 2017), such stories have become common. Churches closed, crosses removed, mosques demolished, Muslims sent to internment camps—the list of state-organized measures against religion in China has been growing. Seen against a backdrop of measures to limit nongovernmental organizations, tighten ideology, and lift term limits on President Xi Jinping, it’s easy to think that religion in China is being crushed by a strong state, diminishing in importance as a new powerful leader takes firm control of the country. When Chinese President Xi Jinping said last week that Taiwan “must and will be” reunited with China, he meant it. In a speech marking 40 years since Beijing’s call to end the military confrontation across the Taiwan Strait, Xi warned that China reserved the right to use force to bring about a reunification. The next day, Xi met with the Central Military Commission to prepare for armed conflict. In the current geostrategic environment in East Asia, such comments and actions are only a further signal of what may be approaching by 2020 and 2021. 2019, which also heralds China’s ‘Year of the Boar’ from February 5, will probably be a difficult year for the Chinese Communist Party (CCP) leadership and for Chinese President Xi Jinping, who has concentrated power unprecedented since the time of Mao Zedong. Domestic issues like slowing down of the economy and maintenance of stability will get further accentuated and be high priorities on the leadership’s agenda. The apparent bipartisan US ‘Trade War’ against China, correctly interpreted by the Chinese as intended to prevent the country’s rise, will add to the pressure. China’s technology-centered ‘Made in China 2025’ programme is already adversely impacted with advanced European nations joining the US to deny China hi-technology and its telecommunications companies access to new markets and upgraded 5G networks. Push back against the Belt and Road Initiative (BRI), Xi Jinping’s prestige project, has also begun. Inner Party criticism and opposition to Xi Jinping are likely to increase and tempt him to divert the people’s attention and show that his policies are yielding results with steady headway being made towards achieving the ‘China Dream’. His comments on January 2 on reunification with Taiwan are an example. 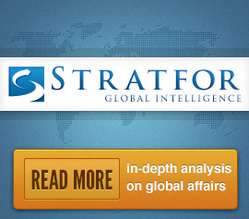 There will be consequent uncertainty in the region as to China’s intentions. Having gone from major growth driver to weak spot before, Apple's Greater China business has once again proven to be the proverbial banana skin on the company's road to another record-breaking holiday quarter. When Apple CEO Tim Cook announced a downward revision of the company’s revenue guidance for the December quarter last week, he attributed “most of our revenue shortfall to our guidance, and over 100 percent of our year-over-year worldwide revenue decline" to iPhone, Mac and iPad sales across Greater China. In his statement, Cook blames China’s recent economic slowdown and rising trade tensions for his company’s lackluster performance in the country but the high prices of Apple’s latest flagship iPhone models may have also played a part. Saudi Arabia is changing its restrictions on how some expatriates can practice Christianity as part of its strategy to weaken hard-line Islam's defining role in Saudi identity. In doing so, Riyadh increases the space for Saudi nationalism to take root, but an ascendant Saudi nationalism will also eventually challenge the monarchy's role in managing the state. Nationalism will increasingly color Saudi relations with other states and become a new check on the monarchy's power. Saudi Arabia, long known for a society, culture and government steeped in conservative Islamist policies, has begun introducing a new nationalism that allows limited expressions of other faiths. The monarchy is hoping that by encouraging a broader nationalism, it can create space for modernization-focused social and economic reforms, which are a key element of the country's broader Vision 2030 plan. But while reducing hard-line Islam's role in the kingdom would have its benefits, establishing a more secular atmosphere also risks inviting a nationalist resistance to domestic government policies and imposing constraints on Saudi foreign policy. Pipped only by Israel, Russia is the second most self-assured, with 63 percent believing they are prepared for a major cyber attack. Meanwhile, in the US only 53 percent believe they can hold their ground in a cyber war and in the UK just 46 believe the country is ready. The poll data, released yesterday, was taken from 27,612 respondents in 26 countries last summer. With around half of Americans fearing a major cyber incident, Republicans are more confident in their nation’s readiness than Democrats - 61 percent to 47 percent. Similarly, in most countries, supporters of the ruling party tended to have more faith in their country’s readiness than supporters of the opposition. This fundamental national security adjustment now coming online is, however, arguably a decade late. A potential balancing coalition against the United States, built by an ascendant China and revisionist Russia, was already coming online in 2008. The import of these signs should have been at least considered, as the global economic crisis of 2008 and the Russian-Georgian war had already overthrown established wisdom about the sustainability of systemic unipolarity built around U.S. supremacy. There is little doubt that post-Soviet Eurasia is beset with unresolved territorial conflicts. Indeed, all former Soviet states that are not either members of western institutions or in the orbit of Moscow— Armenia, Azerbaijan, Georgia, Moldova, and Ukraine —have either territorial disputes with their neighbors or self-sustaining internal secessionist movements with considerable foreign support—often provided by Russia itself. These protracted disputes are described by experts as “frozen conflicts.” Each conflict not only weakens the parties involved, but they are also, more importantly, used by Russia to manipulate the politics of the region to favor the foreign policy goals of the Kremlin. A recent example of this phenom is the ongoing conflict in Eastern Ukraine, which features a secessionist movement that survives via Russian military support, and recently made headlines as the Russian Navy seized Ukrainian warships near the frontline of the conflict. The New Year will likely see Southeast Asian economies face major economic headwinds namely the US-China trade tensions and the interest rate increases by the US Federal Reserve. While some observers think that the 90-day truce between Washington and Beijing could beget better relations between these two powers, they may overestimate China’s ability to make concessions to the US. As reflected in his speech at a gathering to celebrate the 40th anniversary of China’s reform and opening up on 18 December 2018, President Xi Jinping stressed that “No one is in a position to dictate to the Chinese people what should or should not be done”. Given that such remark came against the backdrop of the truce, it connotes that Beijing may not easily bow to Washington’s demands. The U.S. national security establishment has been increasingly vocal that climate change is a national security threat—and the U.S. is not alone in this regard. But exactly how serious is this threat? How concerned should policymakers be? Assessing the magnitude of the national security threat posed by climate change requires addressing the antecedent issue of timing. Climate change is unfolding—for now—in a relatively linear, gradual way, and as a result, the magnitude of the threat depends on the time horizon. The national security implications of climate change are different between now and 2050, between now and 2100, and between now and 2300. Marty Natalegawa, a seasoned Indonesian diplomat who last served as foreign minister under former President Susilo Bambang Yudhoyono, has long been regarded as one of the champions of the ten-member Association of Southeast Asian Nations (ASEAN) regional grouping. 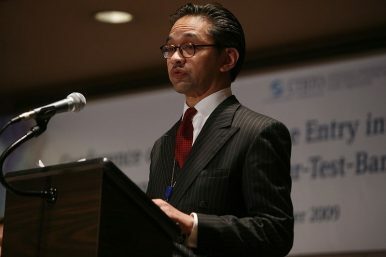 In his previous roles including as foreign minister, Natalegawa dealt with a number of formidable challenges that the grouping faced, from border clashes between Thailand and Cambodia to the management of the South China Sea disputes. Even after ending his tenure as foreign minister, he has continued to remain active in speaking and writing about regional developments, being candid about the issues ASEAN faces but also still hopeful that the region will be able to address them if the right steps are taken. There are many candidates for examining the most salient changes in the emerging strategic environment. Many perceive the emerging era of great power competition as a mandate to prepare for large-scale, conventional wars. Others will examine smaller changes in context like urban warfare, the influence of social media or its weaponization, or potentially disruptive new technologies. Some scholars are skeptical about our ability to think intelligently about the future. Sir Lawrence Freedman, in his latest book, is one of the skeptics, having seen too much optimism and too little humility in futurology. But I hope everyone here recognizes that it would be irresponsible to suppose that we can afford to stand pat with today’s legacy capabilities, outdated or stovepiped doctrines, and rigid mental paradigms. Sir Michael Howard noted that military organizations must conceive of themselves like ships moving forward into the fog of time with occasional glimpses at navigational aids––real world events and battles–– that permit them to adjust course in their doctrines and capabilities. To do otherwise, to stand still on the shore, would be standard practice for some armed forces, but it would also be strategically shortsighted. WHEN VERIZON CEO Hans Vestberg delivered his keynote address at CES in Las Vegas on Tuesday evening, his speech was shaded with prophecy. 5G will change everything, he said. 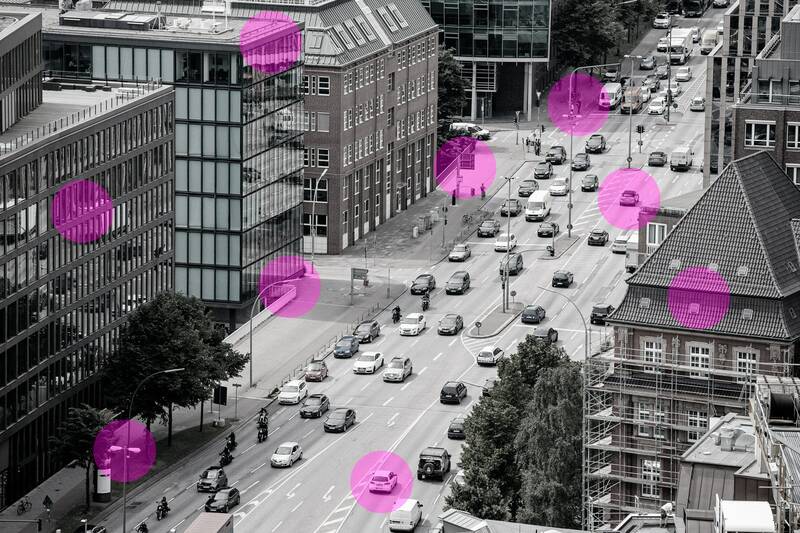 5G will even power the fourth industrial revolution. Vestberg was hardly alone in his predictions for the gains the emerging high-speed wireless technology will deliver. At this week's CES, the annual consumer electronics fest has seen many executives and analysts making bold proclamations about 5G's capabilities. Look beyond the platitudes, however, and you could detect a more sober, subtle prediction from Verizon's keynote address: Wait a year, and then we'll see real 5G. Telecom analysts and those within the industry say "real" 5G—that is, a network of antennas that can transmit a high-speed data signal to handsets and devices designed to receive them—won't become a reality for at least a year. While the next-generation cellular standard holds the promise of blazing-fast speeds for consumers and businesses alike, early real-world demonstrations of 5G's capabilities have been rare. There were a great many long-form technology articles of note in 2018 covering technology trends and companies and individuals who shaped them. 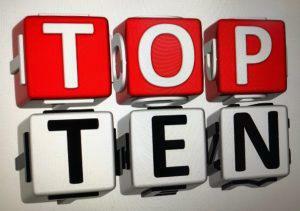 Here are ten that caught my eye that I hope you will enjoy. Harvard psychologist and author, Steven Pinker, analyzes recent data on homicide, war, poverty, pollution and more and comes to conclusion that we are doing better on each front and on many others compared to just 30 years ago. He notes, "We will never have a perfect world, and it would be dangerous to seek one. But there's no limit to the betterments we can attain if we continue to apply knowledge to enhance human flourishing." In a year that included so much providing reasons to feel a bit pessimistic, this is a good pick-me-up…with data to back it up. To be useful to humans, legged robots must navigate the world much as humans do. 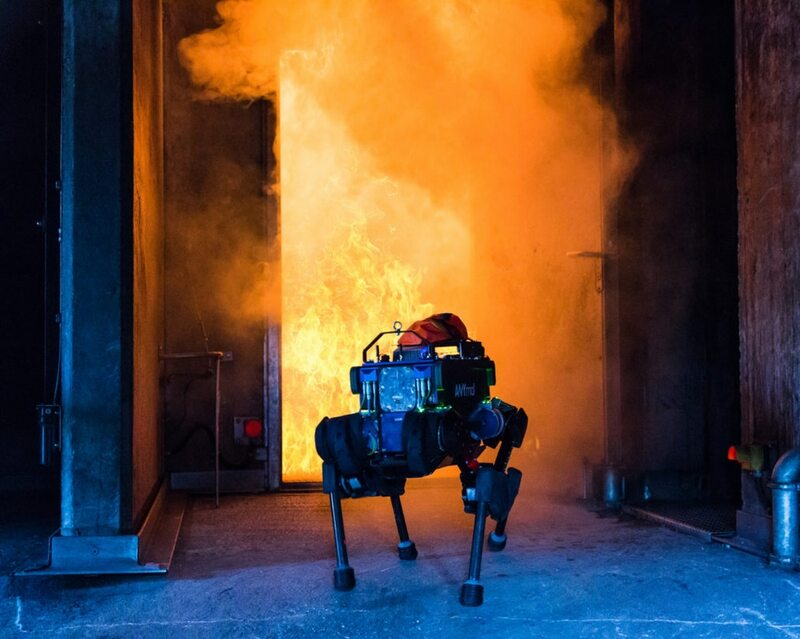 In fall 2018, a four-legged robot named ANYmal explored the tunnels below Zurich, Switzerland in a test for what could be the future of maintenance work. ANYmal, the creation of Switzerland-based ANYbotics and the ETH Zurich Robotic Systems Lab, resembles the BigDog family of robots, its distant North American cousins. Like the Boston Dynamics creations, ANYmal is bouncing mess of limbs that results in a sort of unsettling gait. Special actuators and gait-balancing software enable the whole production, and if need be, a limb can rotate a 360 degrees. This creates the combined effect of turning bouncy legs under the torso into long spindly legs extending outward from it. PENTAGON: The four armed services have kicked off a series of ambitious wargames to thrash out what promises to become a common concept for future conflict, the Army’s three-star senior futurist says. They’ve reached what amounts to a baseline consensus on their approach: a relentless, seamless, coordinated campaign to hammer the enemy from every angle – land, sea, air, space, and cyberspace. They’ve even reached agreement on what the hardest part will be, Lt. Gen. Eric Wesley told reporters on Wednesday: exercising command and control (C2) of such disparate, fast-paced operations. How to solve that problem? Well, that’s a work in progress. SOURCE: Army Multi-Domain Operations Concept, December 2018. 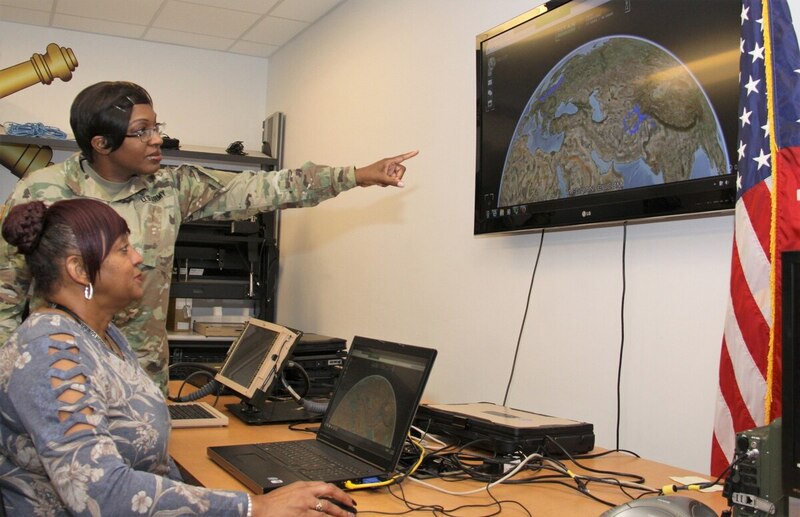 Soldiers recently tested software that would allow commanders to plug into the battlefield picture being seen by their soldiers in remote locations from across the globe, providing mission command from home station. Units in the 82nd Airborne Division, 4th Infantry Division, 62nd Expeditionary Signal Battalion and 2nd Cavalry Regiment have all tested the software, which remains in beta, or testing mode, according to an Army release. Soldiers with the 4th Infantry Division’s 3rd Armored Brigade Combat Team used the Tactical Interface Tracking Node during a November rotation at the National Training Center at Fort Irwin, California. Policy makers and analysts from across the political spectrum have criticized President Trump’s ill-informed and precipitous decision to remove all American troops from Syria by comparing it to President Obama’s decision to order a pullout from Iraq in 2011. Senator Lindsay Graham (R-SC) recently argued that the Syrian withdrawal would be a huge Obama-like mistake, while the editorial board of The Washington Post, which was a cheerleader for the Iraqi invasion, equatedTrump’s withdrawal to Obama’s premature withdrawal from Iraq. And Victoria Nuland, a former Assistant Secretary of State under Obama, argued that Trump is falling into the same trap as Obama when he withdrew all U.S. forces from Iraq in 2011 as conservative writer David French likened Trump’s decision to Obama’s 2011 withdrawal from Iraq.